No sooner had the Australian PGA wrapped up at RACV Royal Pines than a bunch of Australian players were winging their way to Orlando, Florida to contest the Final Stage of the Web.com Tour Qualifying Tournament this week. Among those who competed on the Gold Coast included Nick Cullen, who already has European Challenge Tour status for 2017 but is ultimately in pursuit of a PGA TOUR card, via the Web.com. 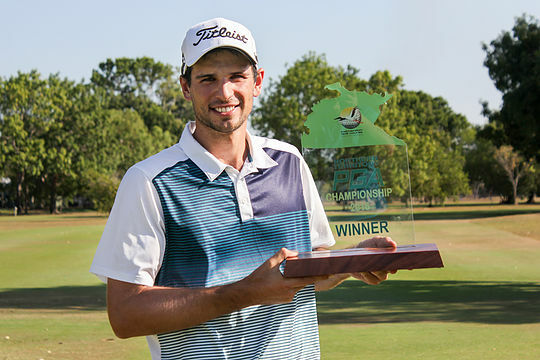 Current NT PGA Champion Jordan Zunic is another looking to establish himself on a Tour outside of Australia while South Australia’s Max McCardle will hope to take the strong form he has shown this year on the PGA TOUR China Series to Florida. Cullen, Zunic and McCardle are among a 10-strong Australian contingent that also includes veterans Steven Allen and Mark Hensby, in a field of 150 looking to secure Web.com Tour status for the 2017 season at the Orange County National Golf Club’s Crooked Cat and Panther Lake courses. Orange County National has hosted PGA TOUR Qualifying Tournaments in the past, and is sure to provide a fitting arena for players striving to finish inside the top 45 and ties at Final Stage in order to secure guaranteed starts for the first portion of the 2017 Web.com Tour season. The medallist at Final Stage will receive fully exempt status on the 2017 Web.com Tour.